As I try to keep lunches interesting for my son, I found it easier for me to pack lunches if I gave myself a theme every week. I usually spend about 30 minutes planning lunches for the next week. I get inspiration from different things. And this week it came to me while I was at the bookstore, which is one of my favorite places to be when I have free time. Well, the bookstore and Target :). 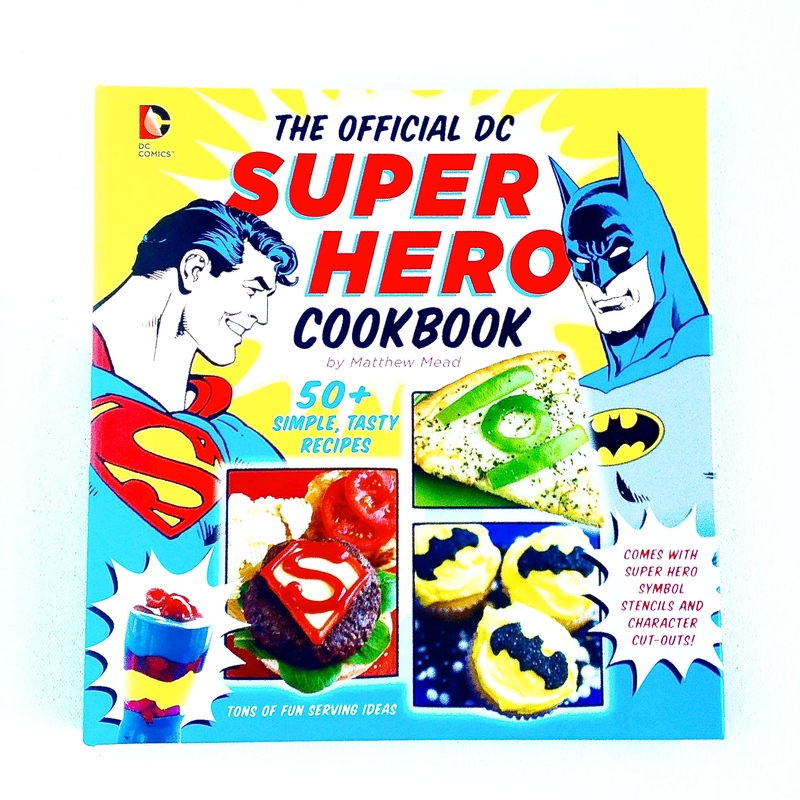 I saw this book and knew my superhero-obessed son would love it. He loves books, especially cookbooks. In fact, he keeps this book in the car so he can look at it while this mommy is driving him around. It has a lot of fun ideas. It also comes with stencils and fun cutouts that you can use to decorate your lunches and lunch boxes. I will definitely be going back to this book for ideas as my son was actually excited about his lunches this week. He came home everyday asking what superhero will be in his lunch the next day. 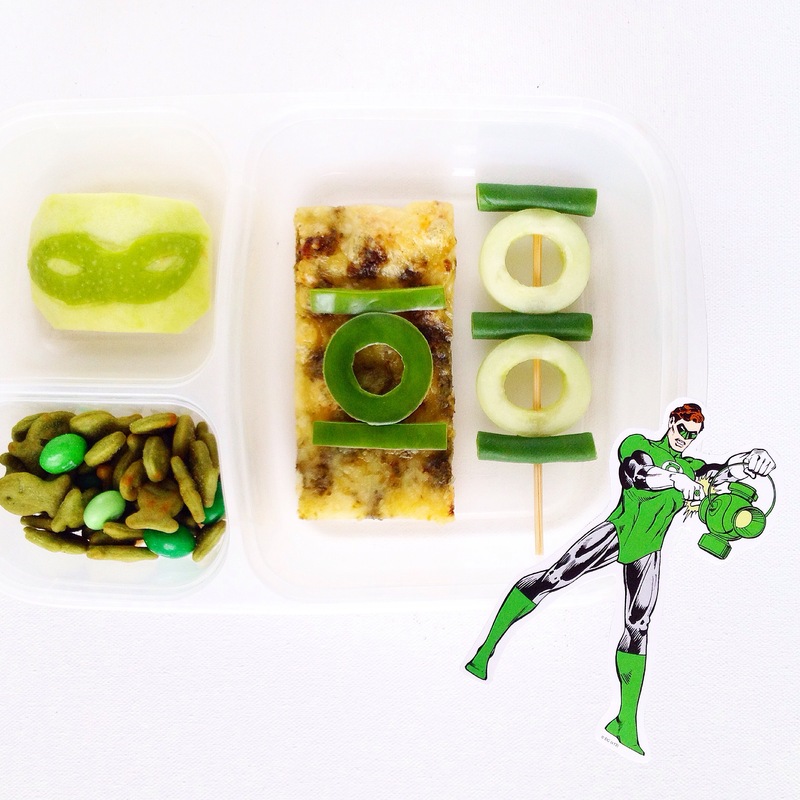 I got some of the ideas from the book, like the Green Lantern pizza and Superman burger patties, while others came from just trying to make the lunches fun. These ideas would be great not just for lunches but for birthday parties and snacks. Happy lunching! 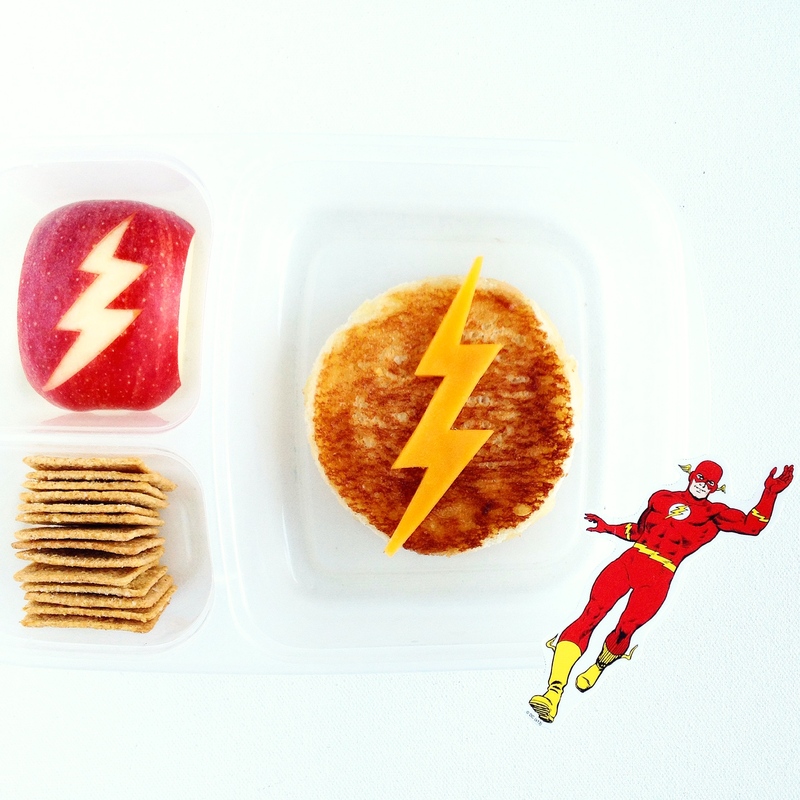 Flash: Grilled cheese with cheese Flash symbol. 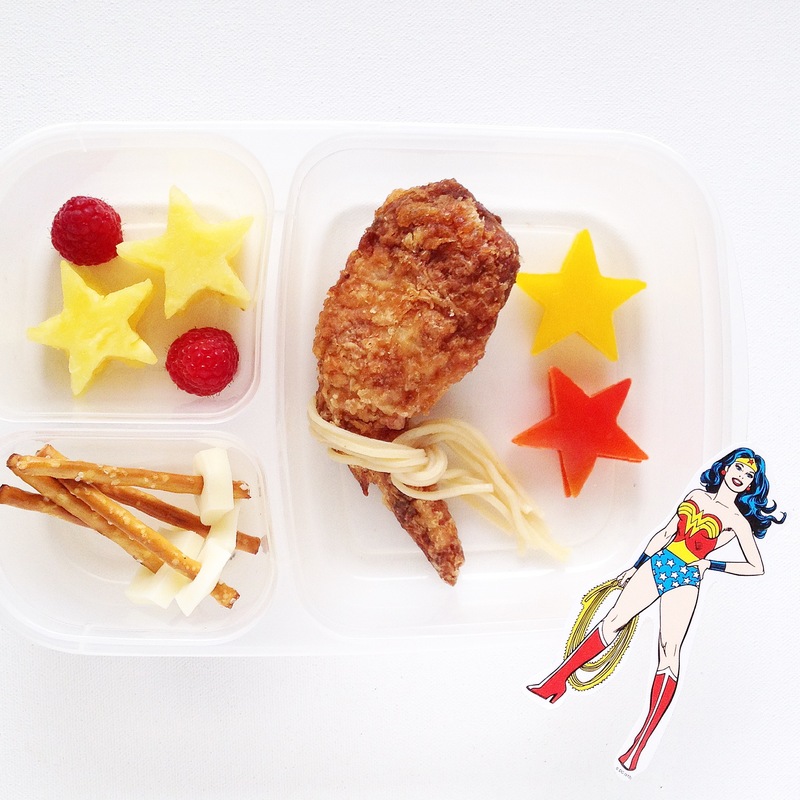 Wonder Woman: Evil stuffed chicken wing wrapped with Lasso of Truth noodles + Bell pepper and pineapple stars + Pretzel and cheese swords. 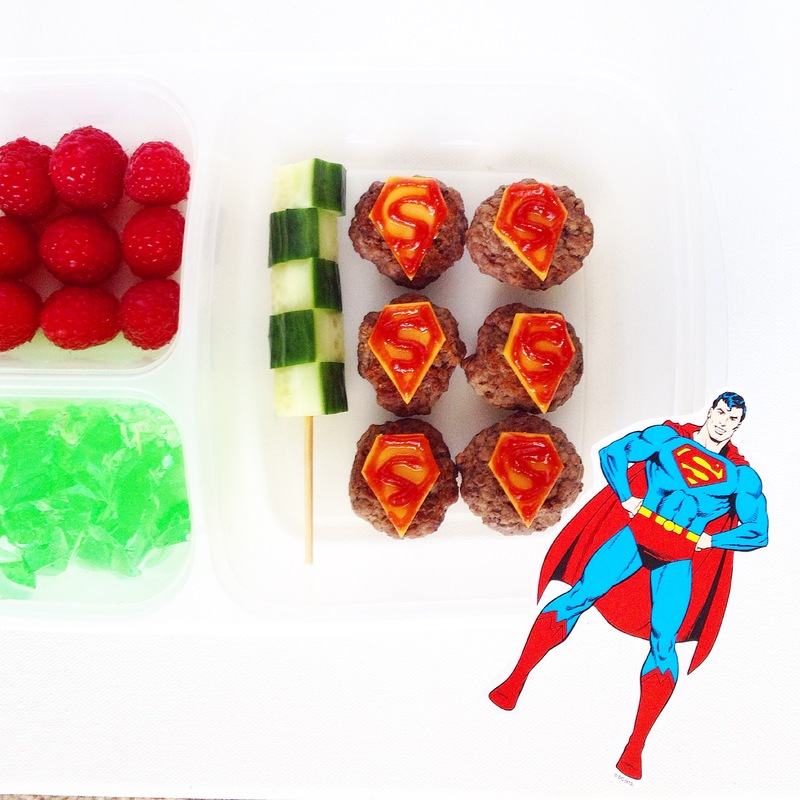 Superman: Mini burger patty bites with Superman cheese (written in ketchup) + Green jello kryptonite. 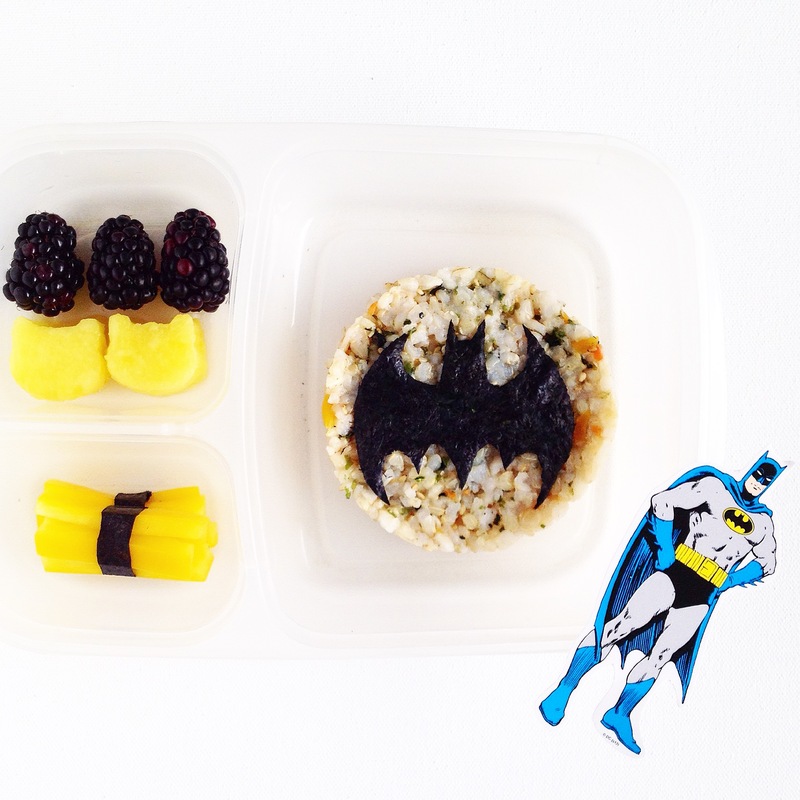 Batman: Brown rice (mixed with carrots, zucchini, and *furikake) with nori Batman symbol + Pineapple Catwoman + Yellow bell pepper dynamite. *Furikake is seaweed and sesame seed mixture to sprinkle on top of rice. It also comes in many different flavors. Great way to yummy-up plain rice!